Ivorian chocolate maker Dana Mroueh is making organic, eco-friendly chocolate in an industry that poses a threat to the environment because it spurs the particularly aggressive deforestation in Ivory Coast. Less than 4% of the country's forest land remains - and what is left may be completely felled by 2030. The Observatory of Economic Complexity (OEC) reports that cocoa beans and related products, such as chocolate and cocoa paste, accounted for over 40% of Ivory Coast's export values in 2015. 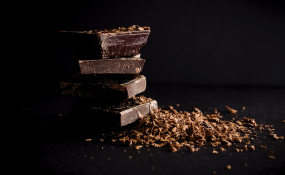 The country is at the centre of the globe's cocoa trade, supplying roughly a third of the world's total cocoa and leading the rest of the world by more than half a million tonnes. But the country is facing a "cocoa crisis", caused by both a market downturn and the environmental costs. These environmental costs are largely in the form of the aggressive deforestation that has cost the country 64% of its forest cover between 1990 and 2015. Overproduction of cocoa has worsened this, and now under 4% of the country's forest land remains. It is estimated that should the trend continue, Ivory Coast will lose its entire rainforest by 2030, with destructive outcomes for its wildlife and climate. "The bicycle grinder is an opportunity for us to practice our eco-friendly philosophy. We really want to have a minimal impact on the environment by using minimal electricity. Combining the grinding process with a short work-out also makes it a playful process," Mroueh told Reuters. "In addition to reducing our energy consumption by crushing the cocoa beans with a power bike, we use recycled paper and reuse the shell of the cocoa... We truly want to enhance the Ivorian terroir, its culture and the forgotten farmers," she said in an interview with the website Lionesses of Africa. According to Mroueh, Mon Choco's unique taste lies in the fact that the beans are not roasted and have no added additives, which highlights the authentic taste of the raw bean. Although organic cocoa beans are difficult to find as most farmers use chemicals and pesticides, Mroueh is committed to an organic product. "We are artisanal chocolatiers, so our process is manual, from the cocoa pods to the final product of packaging the chocolate tablets. One of our trademarks is that we do not roast the cocoa pods; we use raw chocolate. That enables the cocoa pods to retain their flavour and nutritional value. It's richer in protein, it's richer in anti-oxidants, and the taste is really different," she explained to Reuters.